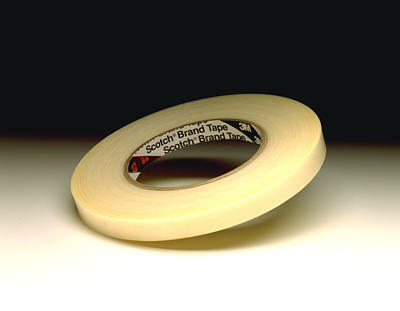 Semi-transparent tape with film/fiber backing. Hand-tearable. Rubber resin adhesive.